Blue Cross Blue Shield of North Carolina encourages members to practice preventive health care, but did you know that daylight savings can have adverse health affects, especially when it comes to sleep patterns? 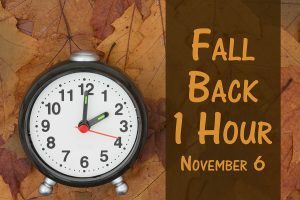 Daylight Savings ends on Sunday, November 6th at midnight and people all over North Carolina will be setting clocks back by one hour, moving an hour of daylight from evening to the morning. Although this may make getting out of bed this winter a little easier, daylight savings can affect us in ways that may surprise you. According to WebMD, “moving our clocks in either direction changes the principal time cue – light – for setting and resetting our 24-hour natural cycle or circadian rhythm.” This, in turn, knocks our internal clock “out of sync” and forces us to readjust. 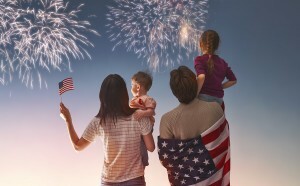 Happy 4th of July from NC Health Plans! Buy only legal fireworks. In other words, look for fireworks that come with a label that includes the manufacturer’s name and instructions. Store all fireworks in a cool, dry place. Never attempt to make your own fireworks. Always keep fireworks outside and keep a bucket of water or a garden hose handy. Light one firework at a time and wear eye protection. Never attempt to relight a “dud.” If it doesn’t work the first time, let it go. Have a designated shooter prepare a shooting area and carefully read the instructions on each firework. Refrain from alcohol use while handling fireworks of any kind. Soak all fireworks and pieces of fireworks before throwing them in the trash can. If they are still ignited, they could explode at any time. Think about your pets! Animals often become extremely agitated on the 4th of July because of all the noise. Make sure to keep your pets secured indoors to reduce the risk of them running loose or getting injured. Finally, if someone does incur an injury, visit your doctor or hospital immediately. Do not attempt to treat or flush out any eye injuries as this can cause even more damage. Seek professional medical attention for any burns to either the eyes or skin.